Computed tomography, commonly known as a” CT” or ” CAT” scan, is a diagnostic medical test that produces multiple cross-sectional images of the inside of the body using X-ray and computer. CT scan gives much greater details of internal organs which cannot be seen using conventional x ray images. Specialised computer software records and calculates the scanning data to reconstruct it as a stack, like a loaf of bread. Then different slices at any planes can be reformatted through the stack of the body for the radiologist’s diagnosis. It uses much more radiation than traditional 2D x-rays and so your doctor discusses with you the necessity and risks of the CT scan and carefully orders CT exams for clarification and detailed investigation of your diagnostic tests done previously. Patients need to bring their referral (letter from your doctor) and the Medicare and/or Pension Health care card to the appointment. It is important to bring all previous films and reports relating to the region being imaged. Depending on the area to be scanned you may be asked to follow special instructions. You will be given all the relevant information when making your appointment. The preparation could include fasting before your test and/or taking preparation medication or drinking oral contrast. Fasting for 2-4 hours is common and it is usually permitted to drink water over this time to avoid dehydration. If you are diabetic and take Metformin (also known as Glucophage, Diabex or Diaformin), then you may be required to stop taking the Metformin on the day of your CT scan and the following 24 hours. It is best to bring recent blood test (renal function) results with you. All other medication should be continued. A special dye called a contrast material is needed for some CT scans, to help highlight the areas of your body being examined. The contrast material blocks X-rays and appears white on images, which can help emphasise blood vessels, intestines or other structures making interpretation easier and more accurate. By mouth. If your esophagus or stomach is being scanned, you may need to swallow a liquid that contains contrast material. This drink may taste unpleasant. Some people find that these drinks can give rise to loose bowel motions and this should be remembered if you have to travel any distance or if you have difficulty with bowel control. You will be asked to fill in a consent form and provide all relevant medical history of any recent illnesses or of heart disease, asthma, diabetes, kidney disease or thyroid problems because any of these conditions may increase the risk of an unusual adverse effect. If you have had a reaction to contrast material before, please let our staffs know in advance. In some selected cases, pre-medications can be given to reduce the risk of a reaction. It is important to follow the instructions you are given to ensure that the test is done safely, accurately and efficiently and so that you do not need to have the scan rescheduled or repeated. We understand that some patients are anxious about having tests performed. If you have any questions or concerns, please do not hesitate to ask your doctor or our staff. !! Please inform the radiographer if you are or you suspect you may be pregnant.!! You should wear comfortable, loose-fitting clothing to your exam as you may be asked to change into a gown. Any objects such as jewellery, dentures, hairpins, hearing aids, glasses and bras that may obscure the area being scanned need to be removed as well if possible. CT machine is a large doughnut-shaped scanner. Patients lie on a narrow table that slides through the opening into a tunnel. Straps and pillows may be used to help you stay in position. During a head scan, the table may be fitted with a special cradle that holds your head still. While the table moves you in and out of the scanner, you may hear buzzing, clicking and whirring noises as the detectors and the X-ray tube rotate around you but the scanner does not touch you, nor do you feel the x-rays. A radiographer in a separate room is in full view and in communication with you throughout the scan via intercom. The radiographer may ask you to briefly hold your breath at certain points of chest or abdomen scanning to avoid blurring the images. The actual procedure can take from half an hour to an hour and a half. 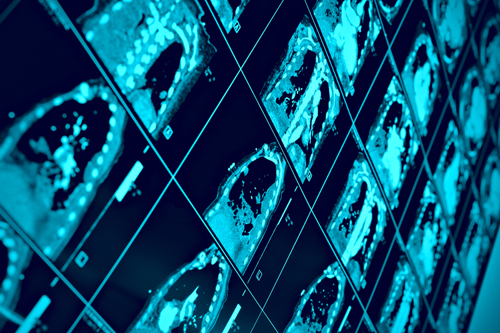 If specific tests, biopsies, or interventions are performed by the radiologist during CT scanning, additional time and monitoring may be required. It is important during the CT scan procedure that the patient minimises any body movement by remaining as still and quiet as possible. This significantly increases the clarity of the X-ray images. Many exams require contrast (x-ray dye) injection into a vein in the arm. This injection is associated with a warm flush and a metallic taste in the mouth. Some people may have an allergy to x-ray dye. If you have had a previous reaction, please make our staff aware of this, prior to the scan. After the exam you can resume your normal activities. If you were given a contrast material, you may receive special instructions. In some cases, you may be asked to wait for a short time before leaving to ensure that you feel well after the exam. To help eliminate the contrast material from your body, you are required to drink plenty of fluids after the scan. 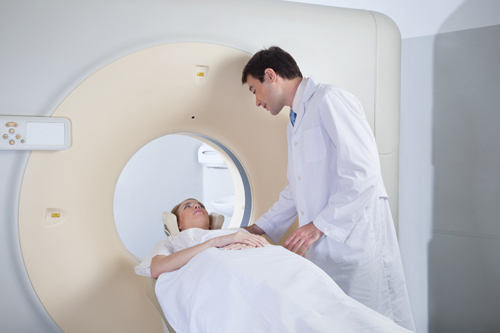 CT scan results can be ready in 1-2 hours with urgent request. However, some CT scan results can take a lot longer due to the amount and the complexity of data that is processed. Our staff will inform you and arrange the delivery or pick-up of your results according to you and your referring doctor’s preferences. The scan results can also be electronically transferred to your referring doctor. The radiographer is not qualified to read your x-rays and so cannot tell what is wrong with your study. It is the radiographer’s duty to perform the test and ensure the images are of high quality for the radiologist (specialist doctor) to interpret them. We strongly advise that you return to your referring doctor in order for your doctor to discuss your radiology report with you.